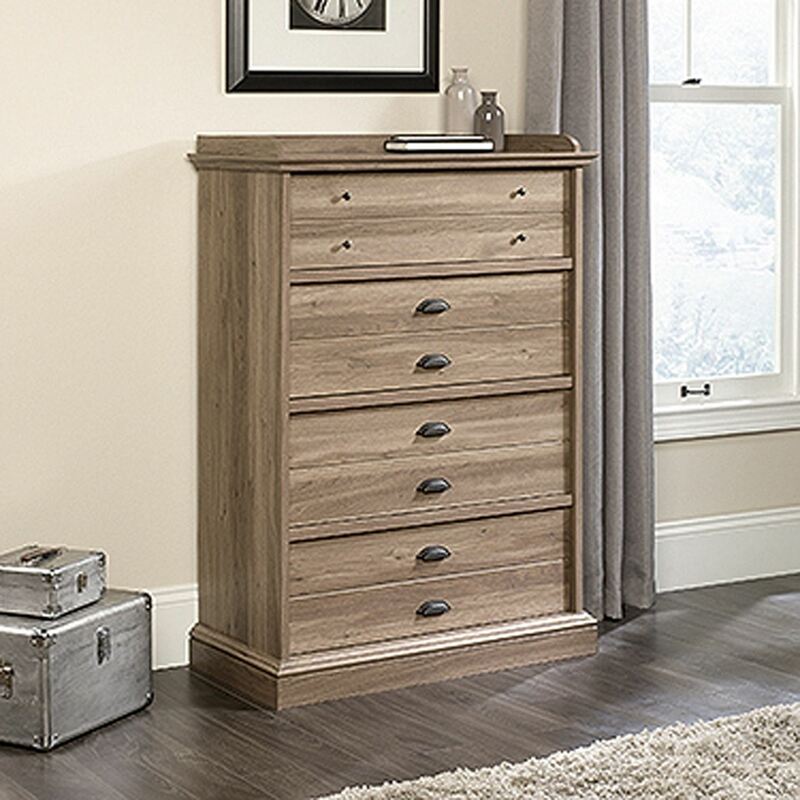 Barrister Lane 4-Drawer Chest Salt Oak By Sauder. 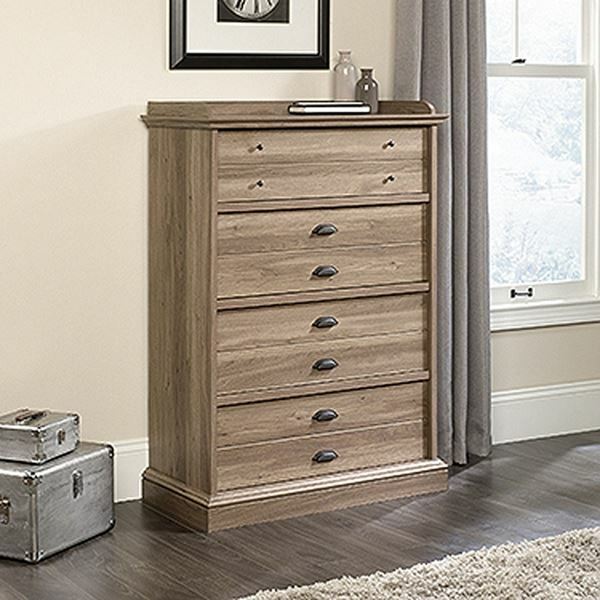 This 4-drawer dresser will work with your current room's decor while keeping clothing and accessories tucked away and organized. 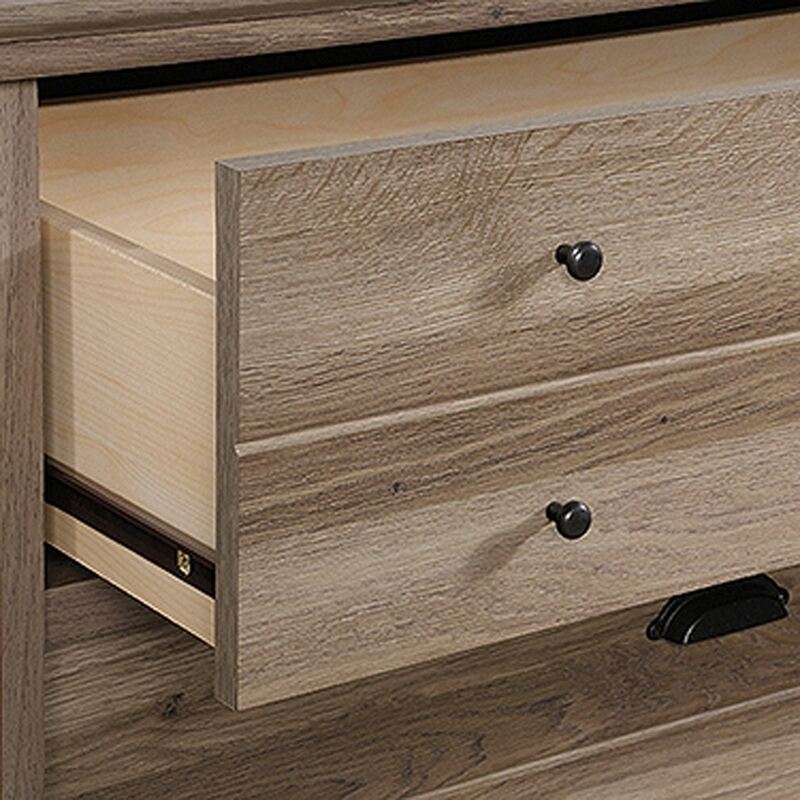 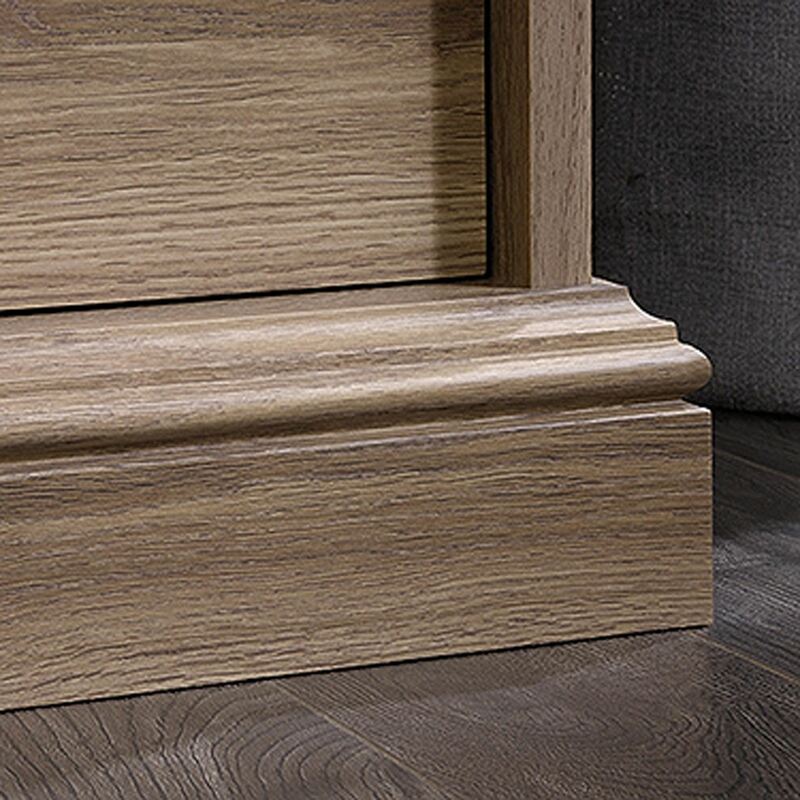 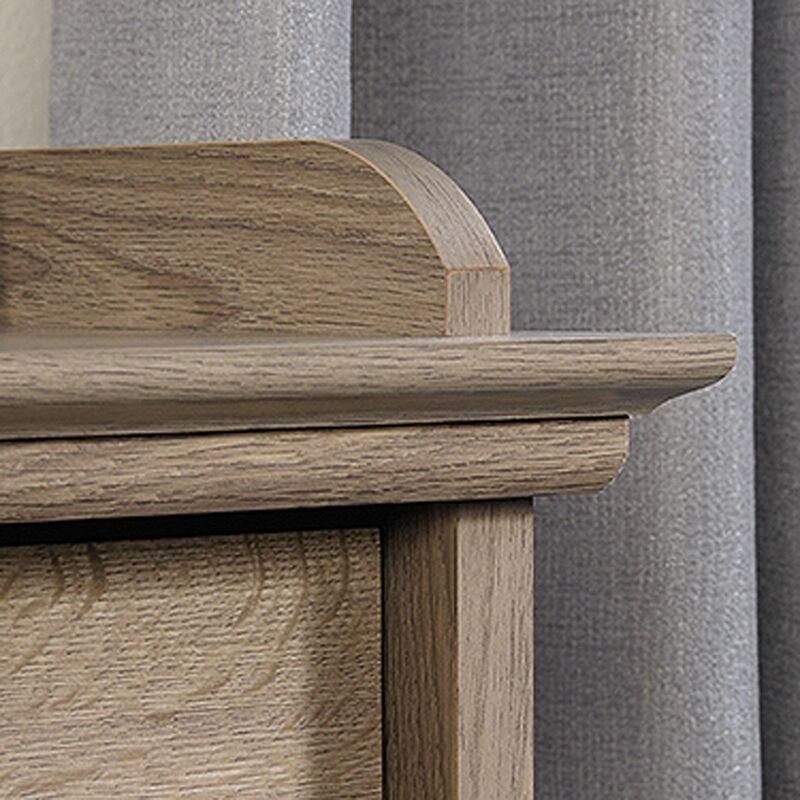 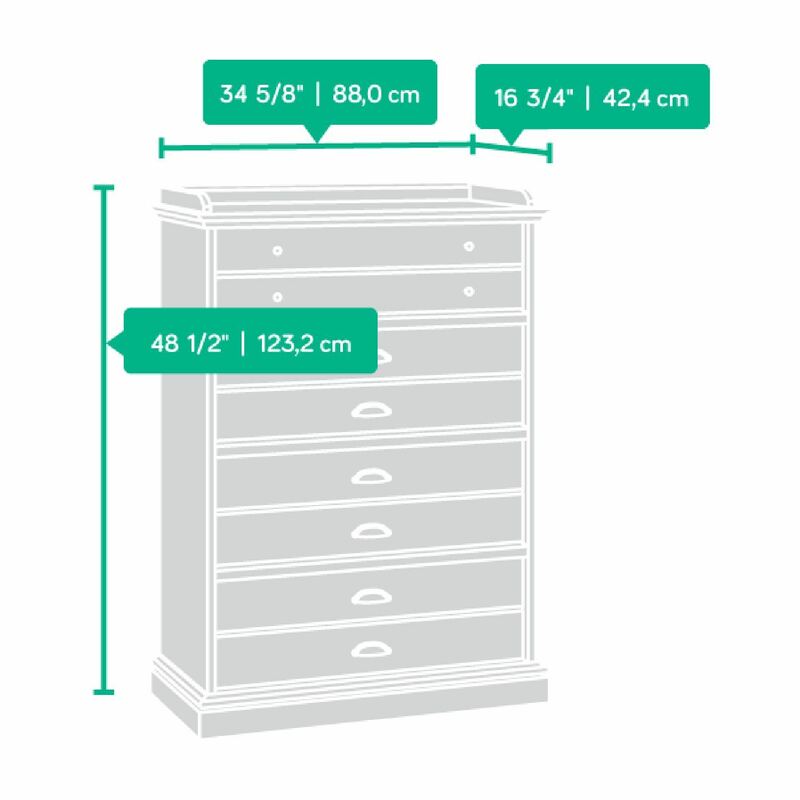 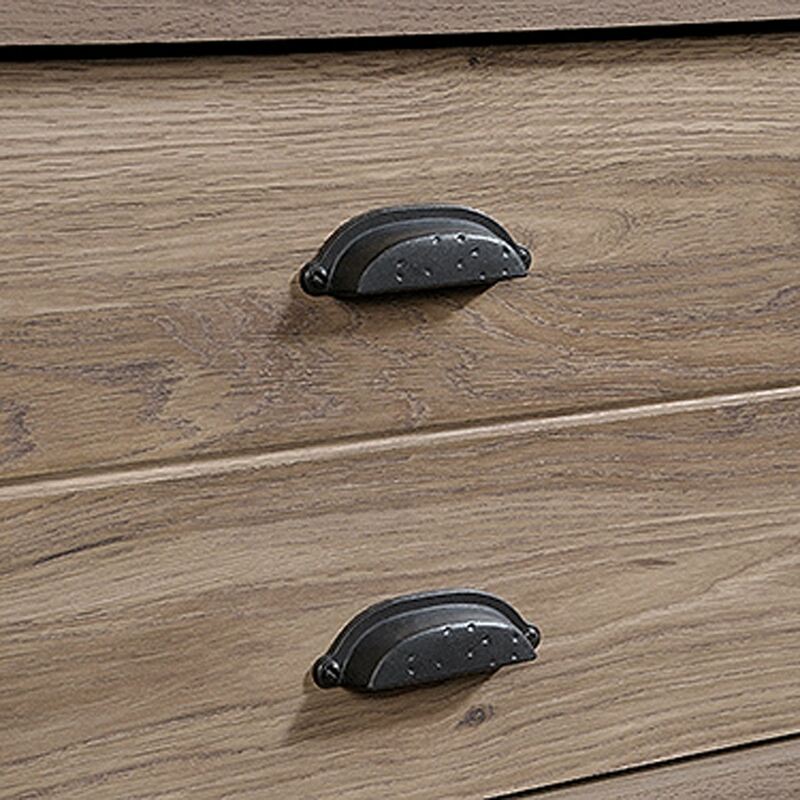 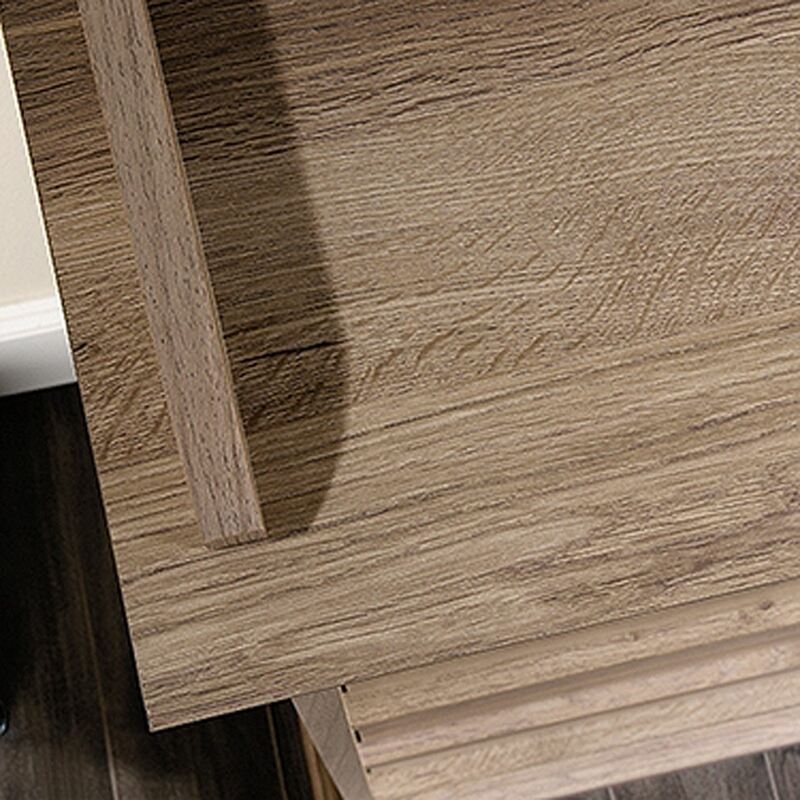 Features of this chest of drawers include: Drawers feature metal runners and safety stops.